plus they go with everything when dressing down. or in a pencil skirt sort-of-way, as well. something not too boring, but not too bright or crazy, either! I find myself wondering if that possibility exists at all? To be fair, maybe I should be calling this post Legging Angst or Upper thigh Angst…! 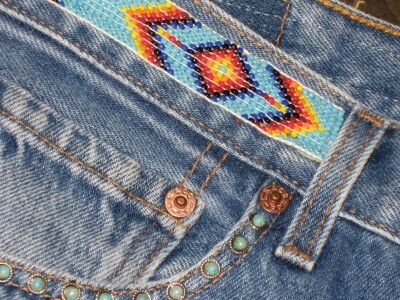 Linking with Visible Monday @Not Dead Yet Style @ http://notdeadyetstyle.blogspot.com/. ~ by admin_aef on May 5, 2013. 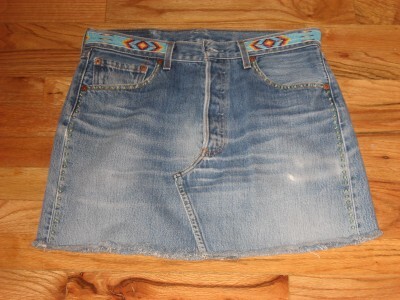 I have been browsing Etsy looking for a pair of nice fitted denim short skirt from the 90s (I remember Guess used to make good ones, had a few pairs back then ;)) Great pieces you have there! lol, I am right there with you, Dawn. 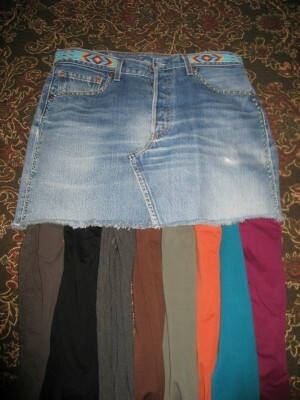 I love every length skirt for myself except those old minis. (and I used to live in them!) 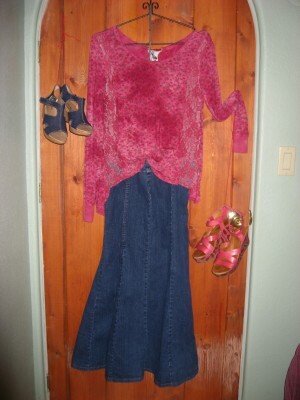 You look great in all these looks and thanks for sharing with Visible Monday. The mini looks fab. Seems to me that you have lovely gams and should wear the mini sans leggings. I think you should close your eyes, and just reach into the drawer! Go with whatever you pull out first. For shorter skirts for summer, I’m thinking of getting some biker shorts or slim shorts to wear underneath, even some pettipants would be good! So with you on the mini’s but the other lengths are most definitely a great staple. That knee length skirt will take you everywhere this summer, have fun! Oops, should read, the long and short of it … so much for trying to be clever. Love the second top especially, by the way. I say wear the short skirt, show some legs! I think you’ll look fabulous! I dunno. Your own taste, and gut level responses will tell you all you need to know about wearing very short skirts. 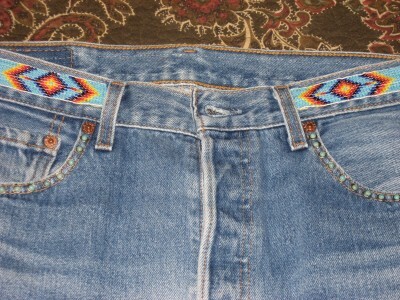 Could be cute with tights and the right top for your very Southwest casual style. 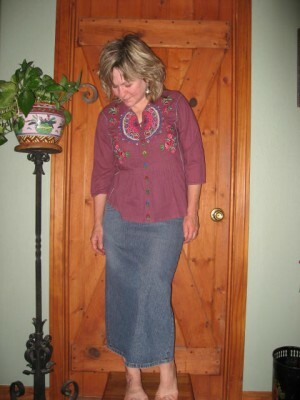 I really like the pencil skirt style … cool in denim. You put this kind of thing together so well, I’m sure you’ll get it pitch perfect.